They don't make many games that let you sail wherever you want to go on the sea, battling other ships, discovering islands, hunting for treasure. But they do make some games like that. In fact, Nintendo made a Zelda all about that: 2002/3's The Legend of Zelda: The Wind Waker for GameCube. Naturally, if you play games a bit—and then meet two developers of the next Assassin's Creed who show that their game will be set on the sea, involve battling other ships, discovering islands and hunting for treasure—you might inquire if one of the only games that did what ACIV: Black Flag will do provided any inspiration or instruction. Be Excited About Assassin&apos;s Creed IV. And Be Skeptical. We&apos;ve been here before. It&apos;s time to tell you about a new Assassin&apos;s Creed. The answer you'd get is the answer you get when you ask developers about just about any game that seems like a possible inspiration: a sort of split of a yes, a no, a shrug. Me: I assume you guys have played The Wind Waker. Raphael Lacoste, ACIV art director: Yeah. On the team some guys have. Sylvain Trottier, ACIV associate producer: Not me. Is it the Zelda thing? Me: [laughing] Yes, the Zelda thing that was in an open ocean where you get to explore every island. Trottier: I don't have a Wii. It was the one console I never had. Lacoste: It's a good reference. The game director has. Me: It's one of the few games I guess you could even look at to see how they handled things. Have there been any interesting findings from that game, about what went well or what didn't? Lacoste: I think the guys.. the game designers looked at that. We get inspiration from many games. We have to be open-minded. Well, when it rains open-world naval games, it pours. Assassin's Creed: Black Flag IV will be out this fall on every major platform, including Wii U. Also coming this fall? 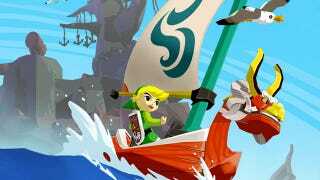 Nintendo's Wii U remake of The Legend of Zelda: The Wind Waker. Be Excited About Assassin's Creed IV. And Be Skeptical. We've been here before. It's time to tell you about a new Assassin's Creed.